Welcome to Zimmer Chrysler Dodge Jeep Ram Collision Center, serving northern Kentucky, Cincinnati and Lawrenceburg, IN. Zimmer CDJR provides a full-service automotive body shop collision repair center facility, offering auto and body repair services. Our collision repair technicians are certified so you can rest assured that your car, truck, or SUV will be worked on by experts who really care. Whether you just need a bumper replaced or a full auto body repair, we can help. 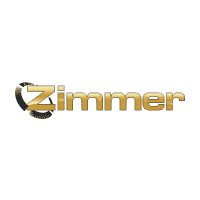 Zimmer CDJR’s body shop services all makes and models and works with all major insurance providers. Please contact us to schedule an estimate/repair quote. Due to the very busy nature of our shop we prefer that you call us to schedule your estimate. We want to give each client our undivided attention during the estimate process. Estimates generally take 30-45 minutes and are available Monday, Tuesday and Friday from 9AM-4:30pm and Wednesday & Thursday 9am-3pm. If you have any questions, we would love to hear from you.